Ducky is a company that needs no introduction among keyboard enthusiasts but the brand might not ring any bells outside of that, despite the fact that some very well-known gamers (such as SoOn and Tfue, to name just two) use their products. Widely lauded as super solid and no nonsense (gaming) keyboards, Ducky has managed to captivate gamers and enthusiasts alike through many different iterations of their products. It makes sense as well: having a nice and well-maintained mechanical keyboard will greatly increase your comfort (and performance, if you’re coming from a stuffy old membrane keyboard) and will last you years and years. For games where very presice movement is necessary (CS:GO, for example) a mech keyboard can really help perfect said movement too. 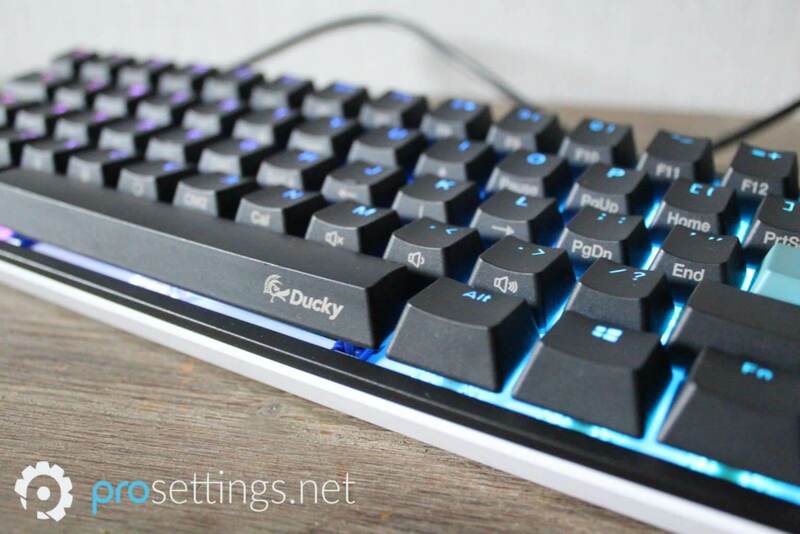 Ducky has been a household name ever since mechanical keyboards became popular, and today we let our reviewer take a look at their latest effort: the Ducky One 2 Mini RGB. Read on to find out what he thought of it. Keyboards come in all sorts of shapes and sizes, and the first thing you notice is that the One 2 Mini is just so small. Not in a bad way though, not at all. There are almost no bezels on the keyboard, giving it a very compact and clean look, and there’s no wasted space between the keys either. That, combined with the fact that it comes with a detachable USB-C cable makes it one of the most compact keyboards I’ve personally seen so far. 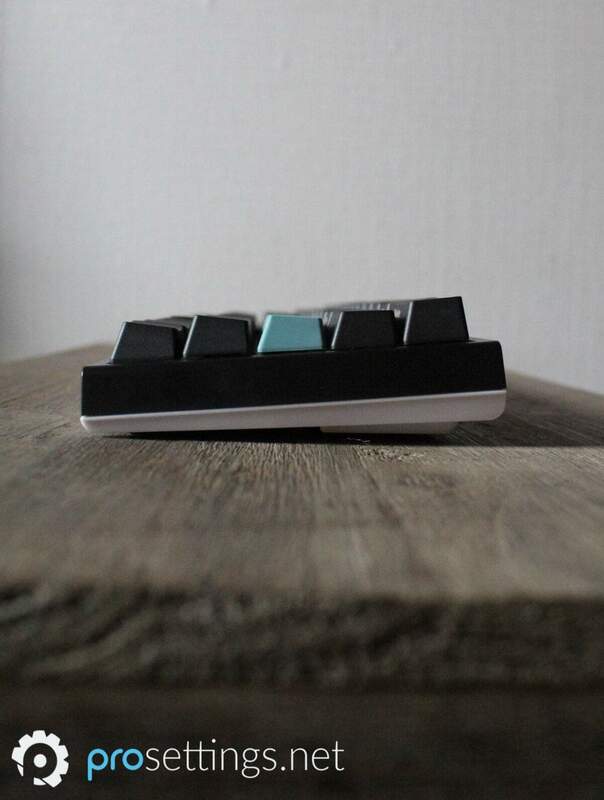 The enter key came in a sort of ocean blue (the photos you see in this review are taken with no changes made to the keycaps) and provides a nice visual break from the black keys that otherwise fill the keyboard. The One 2 Mini, as I said, is a very compact and lightweight keyboard, but it doesn’t seem like they had to make any compromises to get it to that point. Yes, it’s made from plastic, but aside from the fact that I can push in the sides of the keyboard a little bit (near the shift and enter keys on either side) it doesn’t feel flimsy at all. The keycaps have a very neutral font on them as well, which is always a plus in my opinion. Select a reasonable RGB lighting profile and no one would bat an eye if you took this thing to the office. Well, except if you opt for a version with clicky switches, but that’s a different discussion. The RGB lighting isn’t the absolute best on the market, but thanks to the white backplate behind the keys it does look really damn beautiful and seamless, if you care about that sort of thing. 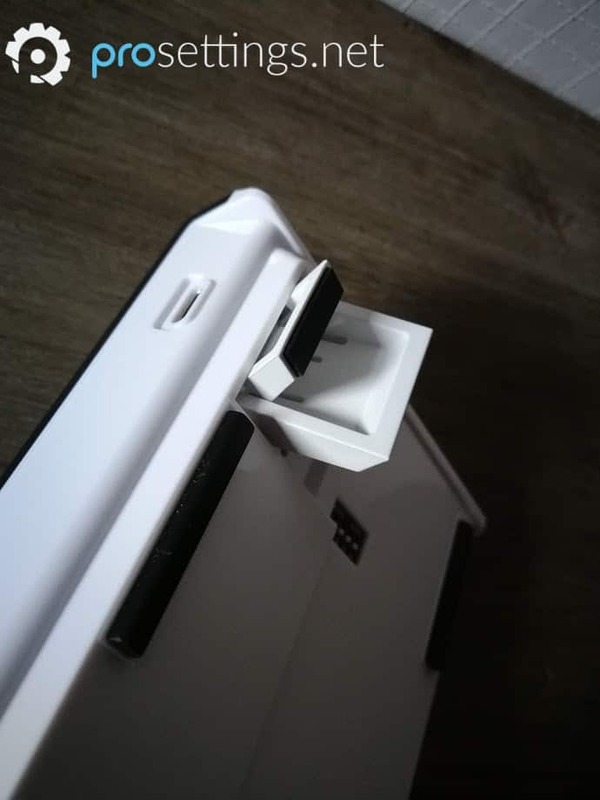 The Mini One 2 comes with a thin plastic cover. Not every company includes that and it’s really not a huge deal if they don’t, but I personally love those things. Whenever I’m going away for the day (or more) I just plop it on my keyboard to make sure it doesn’t collect dust while I’m out. Kudos to Ducky for including that. 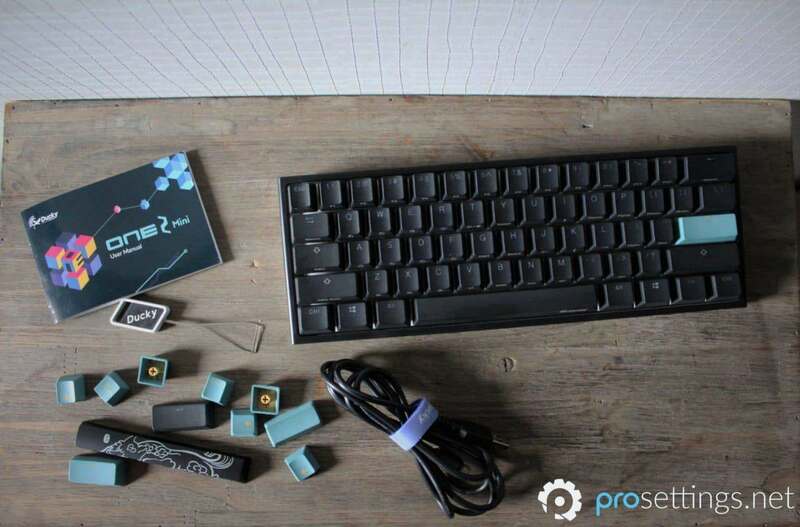 Inside the box you’ll also find a Ducky branded wire keycap puller, the usual instruction manual stuff and a bunch of extra keycaps in that same ocean blue color that’s on the enter key. There’s also a standard black keycap for the enter key and a special, limited edition year of the dog spacebar. They’re nifty little extras for personalizing your keyboard a bit, so that’s a nice touch. 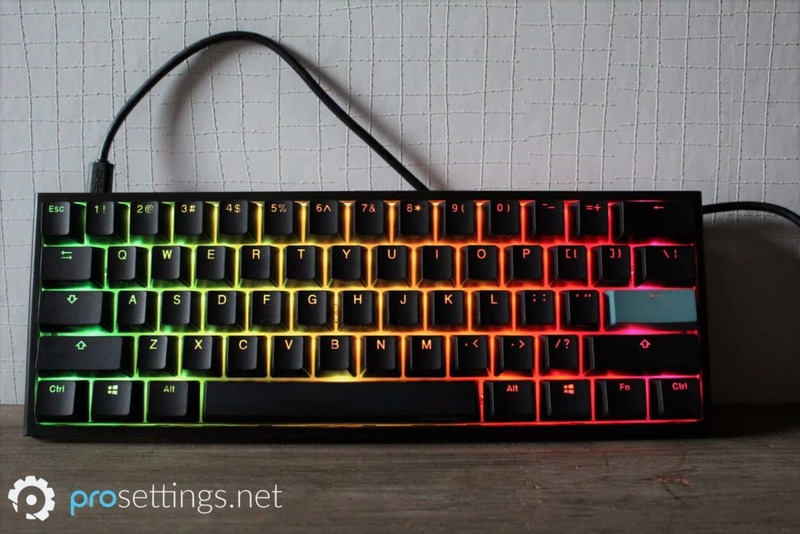 The special keycaps are in a random color, according to Ducky’s website, with the other ones being red, yellow, and green. Is that a useful thing? Obviously not, but I do like this addition, and it being random adds to the fun in my opinion. 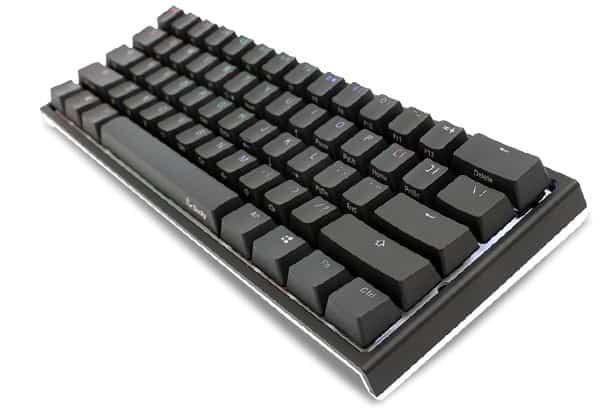 The Ducky One 2 Mini is a 60% keyboard, which means that it’s primarily designed to be compact. If you’re expecting a host of extra buttons and media switches you’re going to be out of luck with this one, but you can record macros straight from the keyboard no software required if you so please. I’m not the biggest macro user (in fact I don’t use macros at all) so I’m not an expert on this, but the instruction manual is clear and lucid enough should you want to use this function. The keyboard also has n-key rollover (NKRO), which means that you can press as many keys as you want at the same time without having any issues with ghosting or other performance killing nuisances. It’s pretty rare that you’re going to be simultaneously pressing more than, say, 10 keys at once, but the fact that the One 2 Mini has NKRO is a testament to how well it’s made. As I said before it’s a plastic keyboard, with the keycaps sitting ‘inside’ the keyboard on a white backplate. This allows the RGB lighting to really shine fully, and Ducky has managed to include some really neat standard lighting profiles. It has all the usual stuff (reactive lighting, rainbow waves, etc.) but you can also play a game of roulette or a variation of memory/minesweeper on the keyboard. I don’t know why you’d ever use those modes, but like those extra random keys you get it’s a fun little addition that’s totally harmless and out of the way if you don’t ever intend to use it. 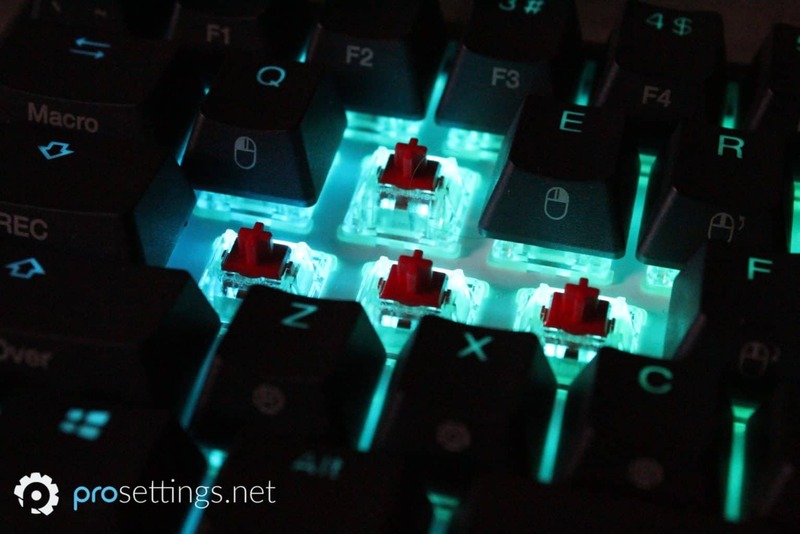 You can fully customize the RGB lighting to your wishes, and while the options and possibilities aren’t as extensive as some of the competitors out there it really does the job beautifully in my opinion. If you’re a fan of flexing your RGB stuff you’re definitely not going to be disappointed with the One 2 Mini. How many keyboards let you play minesweeper on their backlit keys, after all? The keyboard has nice and grippy rubber feet at the bottom and a total of four adjustable feet, meaning that you can choose between three different height levels. The included cable is a plain rubber cable which connects to the keyboard via USB-C. There’s nothing really wrong with it but it is a bit stiff and short, in my opinion. All in all Ducky really managed to put a lot of features in a small and attractive package, and while it’s (obviously) not as full-featured as a full size keyboard with a bunch of extra keys and all of that it’s still really impressive what this little board can do. I almost immediately noticed how extraordinary the typing experience is on this keyboard. Now, I’ll freely admit that I’m not a keyboard geek (I don’t have drawers full of custom made, 200 dollar keycapped boards like some enthusiasts out there) but I have used a lot of keyboards over the years with a variety of switch types and I have to say that the One 2 Mini offers one of the nicest typing experiences I’ve had so far. There’s no outrageous key wobbling; every key press feels as smooth as the others and there’s no rattling or other distracting noises. The same goes for the larger keys such as spacebar and enter; they all felt really smooth and sounded great out of the box. The spacebar sounded a bit ‘bigger’ than the others, but not in a distracting manner. This really is that kind of keyboard that you slide on over to that friend you’re trying to convince to go mechanical. For reference: the board I tested has Cherry MX Reds and the stabilizers on the One 2 Mini are standard Cherry stabilizers. As for the sound: feel free to judge for yourself in the clip to your right. It’s not an audiophile sound test or anything like that but the clip should provide an estimation on how this keyboard sounds while typing regular sentences. The keyboard itself performs exactly like you’d expect it to after reading the specs. I used it to play Overwatch, Battlefield V, Assassin’s Creed Odyssey, and a variety of smaller indie games and it all went down how it should go down. The One 2 Mini is responsive, consistent, and super reliable. 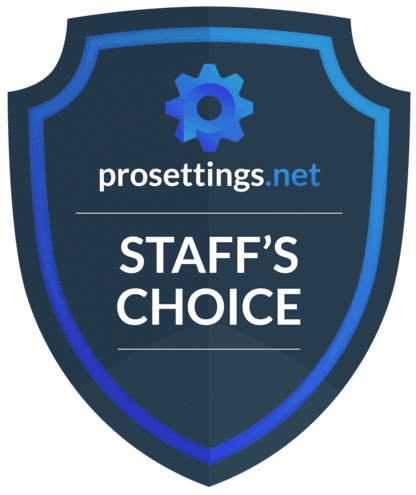 It’s not going to work for people who prefer to game with the arrow keys (since it doesn’t have any) or people who like to have a ton of extra keys at their disposal, but for everything else you really can’t go wrong with this keyboard. I also did a variety of typing tests. That’s not a scientific test by any means, but if you consistently perform way worse on a certain keyboard than you would normally then that’s an indication that something’s wrong. That wasn’t the case here. I very quickly got to my regular typing speed, so full marks for that one. You can just tell that the people over at Ducky put a lot of thought into this keyboard, and that was evident all throughout my experience with this keyboard. The only real downside is the lack of a USB passthrough port, but I guess that’s a compromise that you have to make with a 60% board. Ducky has really delivered with the One 2 Mini. It’s a lightweight and compact keyboard, yet it’s packed full of useful (and not so useful) features and the typing experience is among the best I’ve experienced so far. That combined with its detachable cable and small form factor makes this board absolutely ideal for gamers who like to travel often or want to increase their desk real estate. The lack of arrow keys and function keys mean that this board won’t be ideal for everyone, but if you can get past that the One 2 Mini is is going to serve you really, really well. Fans of RGB shows will also find themselves thoroughly pleased with Ducky’s latest effort. It’s not the absolute best on the market but it can definitely produce some really pretty profiles. In reality the Ducky One 2 Mini does almost nothing wrong. I’d perhaps have liked to see a sturdier body design towards the sides (but that would raise the weight) and maybe a slightly longer and more premium feeling cable, but that’s really just nitpicking. Ducky is really showing why they’re so beloved among enthusiasts with their latest release, and I thoroughly encourage you to check it out if you like what you read in this review. If you’re looking for a small, ultra portable and very reliable (gaming) keyboard then this could very well be it. Great review. Would like if you guys did more mice reviews, however. specifically the new zowie s.
Where i Can buy It from Italy? Which keycaps can u put on this Keyboard? The keyboard has a standard layout and standard stabilizers so most aftermarket keycaps should fit on it. to play fortnite best brown or red cherry? Most Fortnite pro players like Tfue & Symfuhny are using Cherry MX Brown switches on the Ducky One 2 Mini. Where can I order it from Germany? From what I can tell caseking seems to have it in stock right now. Probably more stores should have it as well. The Ducky One 2 Mini RGB should be compatible with the Playstation 4. You have to make sure yourself though. When does the ducky one 2 mini rgb get released again? 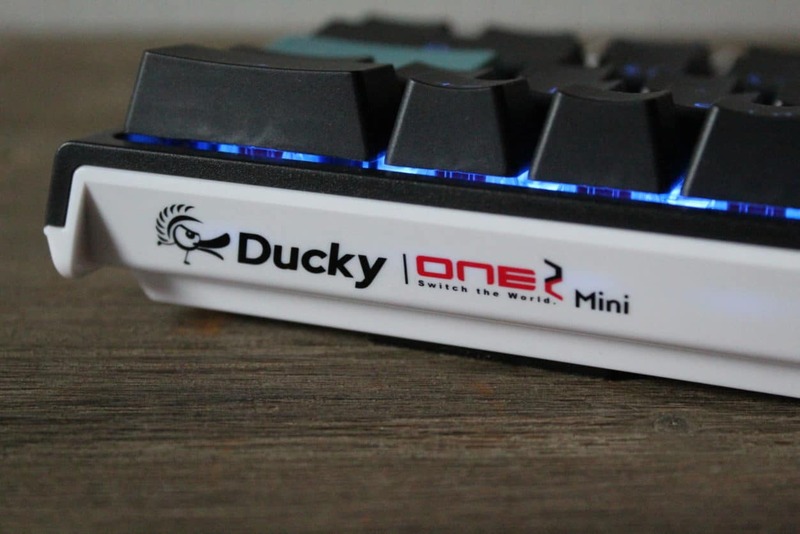 The Ducky One 2 Mini is already released. Can This Be Sold To India? If you followed the manual and did all the steps correctly then it’s probably best to contact Ducky’s support team. Thank you, glad you like the website. Can this keyboard connect to XBox One ? The Ducky One 2 Mini RGB should be compatible with the Xbox One. You have to make sure yourself though. I was wondering what do the difference switches mean? Different switches have different actuation points and characteristics. Some are heavier to press, some are super light. Others are louder and clickier while some are near silent. Switch manufacturers provide info on these characteristics on their websites, in case you’re interested! I have read other people have an issue with the USB C cable not going into the keyboard fully, so its kind of sits out loosely. Is that the case with your keyboard? If it is, should I hold off buying or is it something I shouldn’t worry about? That wasn’t the case on my keyboard no. I move around my keyboard quite a bit during long gaming sessions as well when I’m adjusting my seating position and I never had an issue with that. I still use this keyboard almost weekly when I’m gaming with friends and haven’t noticed it at all, and things like that are something that I’m usually very sensitive about. Why will my computer not read that my ducky is connected? I don’t know, could be a whole variety of things so I can’t say for sure. It will work with an adapter, yeah. Which do you prefer, the Ducky One 2 or the Glorious GMMK? Thanks. Difficult to say since they’re both really high quality boards. If you already know what type of switches you like I would personally opt for the One 2, but the hotswappable keys of the GMMK makes it the better option for players who don’t completely know what they prefer. Yes, it will work with an adapter. ducky one 2 mini work in ps4? what adapter to use? With an adapter it should, yeah. I don’t use mouse and keyboard on console so I’m not sure, but something like XIM should be fine I think. I do encourage you to do some research before buying, as I’m not one hundred percent sure on this information.